Hey guys, here’s my favorite way to earn a little extra spend money even when life gets crazy busy. It’s Swagbucks and thanks to it I’ve earned over $430 since 2011 in Amazon gift cards with very little time investment. How much you can make is all about how much time you have to invest, but trust me a little bit can go along way. 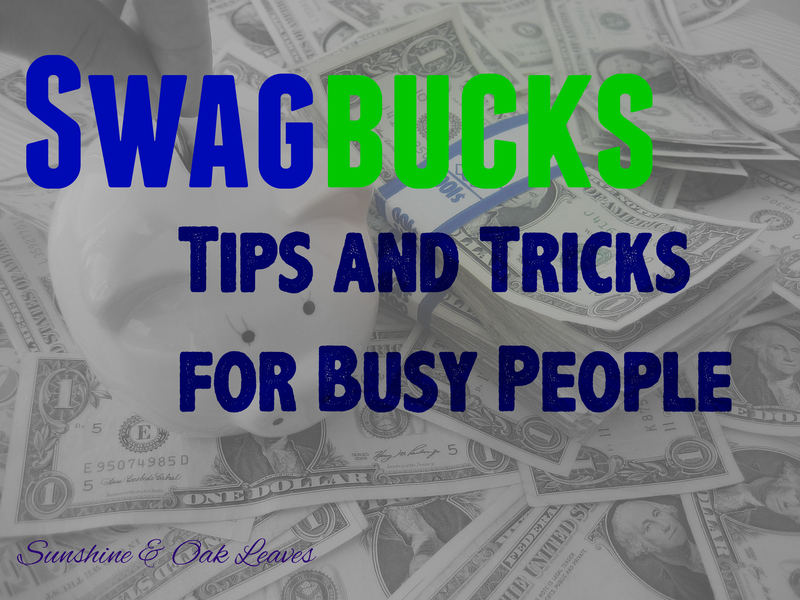 Here are my top tips for earning Swagbucks effortlessly. I use Google Chrome and under “settings” you have the option to change which search engine your omnibar directs you to. Swagbucks are earned randomly while searching, so by always using Swagbucks you can increase your chances of earning with literally no effort. On my iPhone, I’ve installed the Swagbucks mobile app. This makes it ridiculously easy to answer the daily poll which gets you a Swagbuck daily. Codes are fast Swagbuck earners so here’s how you make sure to get them all. First, allow the app to notify you, because it will let you know when there is a code up. Then, instead of hunting it down on all the different forms of social media it may be on, just go to sbcodez.com and they’ll let you know what the code word is. You can even enter the code right in the app! Your friends earn, you earn, everyone earns! Can’t go wrong with that. Make your Amazon gift cards go farther with free shipping for college students! Are you a pro Swagbucker? Add your tips below! Staying healthy doesn’t have to cost a lot. Here’s a few tips to guide your path to frugal fitness! Prices are usually significantly cheaper than at the grocery store, and the produce is local. Plus, many towns have indoor farmers’ markets year round. Local Harvest has a great search engine to find a market near you. It’s basic supply and demand: in season fruits and vegetables are usually cheaper because they’re easier to stock and usually don’t have to be shipped from other parts of the world. The USDA has an interactive seasonal produce guide on their site. It’s much cheaper to grow your own produce. Plus, you can freeze extras to use during the winter. Even if you don’t have a lot of space, you can grow many things in pots on a patio or deck. We usually grow peppers, tomatoes, herbs, and other assorted plants in pots and lined crates. It’s a lot easier to resist the urge to grab that easy pizza on the way home from work if you already have a healthy alternative planned and bought. Plus, by basing your meals on what’s on sale, you can save a little extra cash. Same deal. If you already have a healthy lunch packed and prepared, it’s a lot easier to avoid the temptation of ordering out. For non-perishable items, shop around. Many times it’s cheaper to buy healthy grains, protein powder, supplements, and other healthy essentials from warehouse stores or from Amazon. 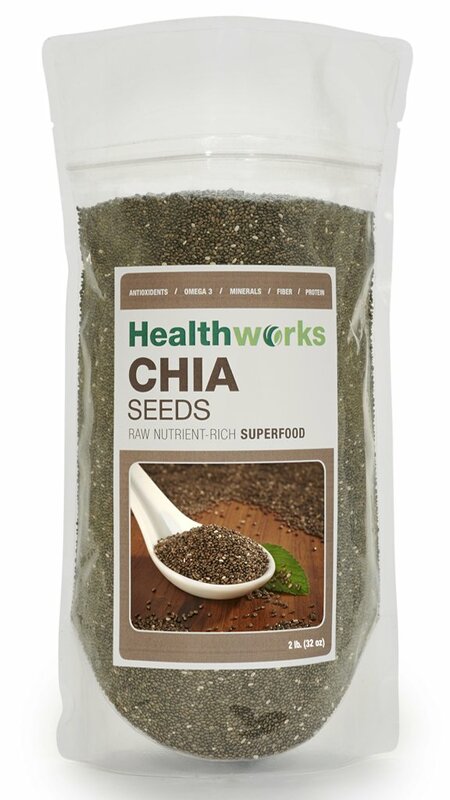 For example, you can get 2 pounds of chia seeds for $12. Unless you’re a diehard gym rat, chances are there’s a cheaper way to get your workout in. There are plenty of free workout videos on YouTube. Can’t live without a treadmill/stationary bike/elliptical? Check Craigslist. There’s usually plenty of equipment at greatly reduced prices looking for good homes. If Craigslist isn’t for you, you can also find good deals on equipment at Amazon. 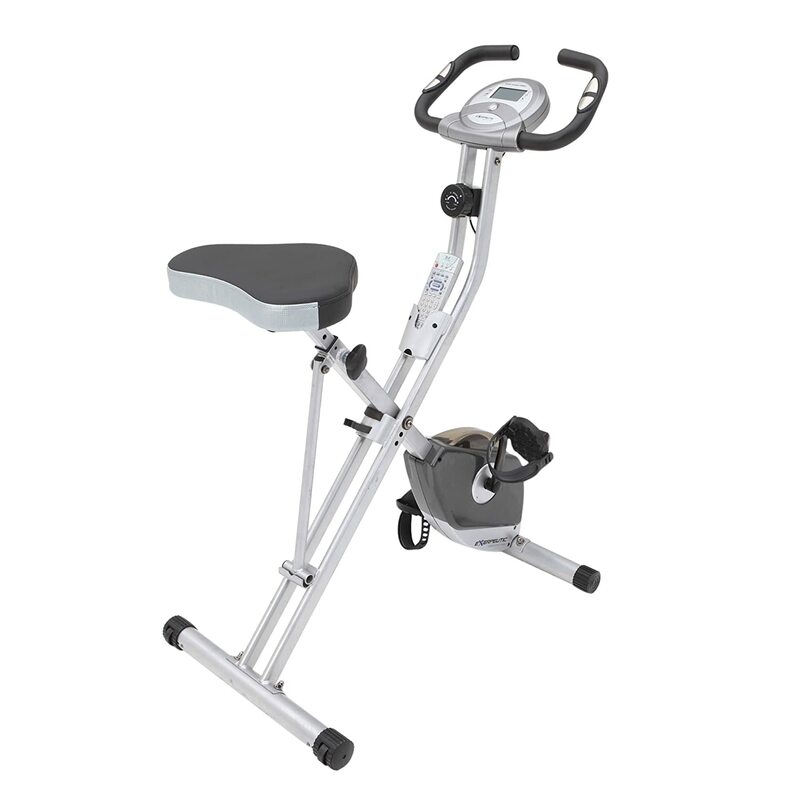 I recently got this folding exercise bike for $150. It’s sturdy, quiet, and takes up about as much space as a dining chair. 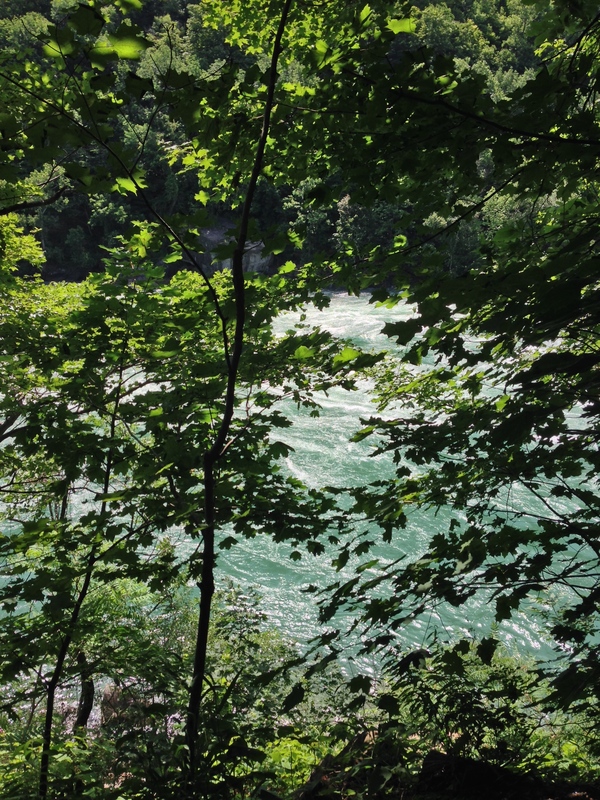 Sure this may not be the most desirable option in the dead of winter, but as the temperature begins to rise take advantage of the great outdoors. Whether you bike, hike, swim, or start a pickup frisbee game, you’re getting your workout in and having fun! Take advantage of parks and playgrounds in your neighborhood–many have fields and courts you can use for free. Check to see if your employer or health insurance provider offers any incentives to stay healthy. I’ve seen everything from a $75 gift card for scheduling a yearly checkup to a free FitBit to promote a healthy lifestyle. If you can get something free for taking care of yourself, it doesn’t hurt to ask!